Each year the Toronto Dominion Bank has a Grade one book giveaway where they give a book to every Grade 1 student in Canada! Opening: Every day after school, Leo took his ball into the courtyard. He threw the ball high into the air. It would hit the brick wall and bounce back, and Leo would try to catch it. And every day, Leo saw Mr. Zinger. Mr. Zinger walked around the courtyard, over and over. Brief Summary: This is a very sweet story about a bored, young boy, Leo, who meets an old man. 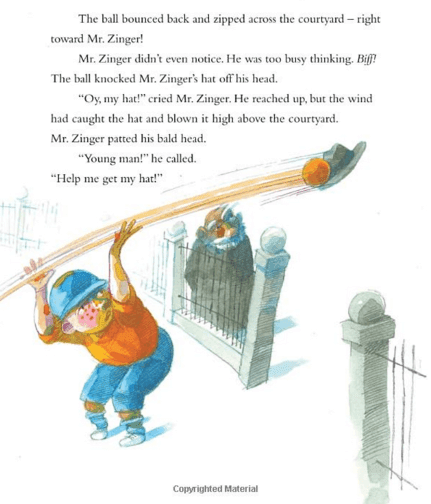 Mr. Zinger also happens to be a children's writer, and through his provocative and gentle approach, he introduces Leo to the power of our imaginations. Why I Like It: I enjoyed the little surprises throughout the book, specifically how this serious looking older gentleman turns out to be a storyteller with a glorious imagination AND a "magic" hat. The story-within-a-story was a fun twist, as was the ending when Leo has the opportunity to put his newly developed imagination to the test. I also thought the lovely soft watercolours beautifully added to the mood of the book. 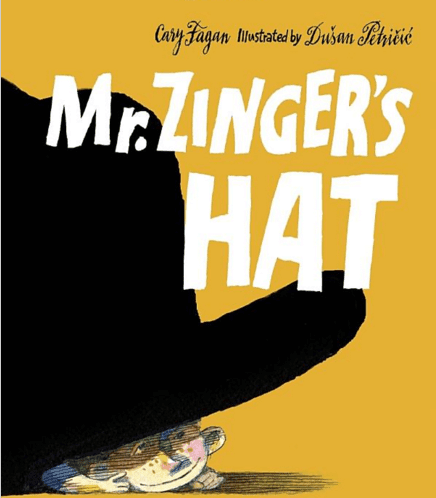 After reading Mr. Zinger's Hat you could pull out your own hat and encourage your students to make up a circle story (one person in the circle starts the story, then each successive person adds on to it). It would be a natural to have the kids work alone or in small groups to continue the story started by Leo and his new friend Sophie. They could do this either orally or with pictures and writing. Have the kids bring in their favourite hats. They could write descriptions of them and the class could graph them according to type or colour. 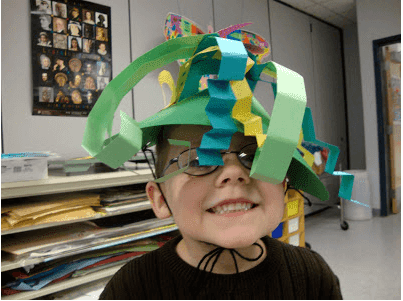 Your students could use their imaginations to make their own silly hats. It would be fun to wear them when reading their stories. Click the picture to find the directions from Art.Paper.Scissors.Glue! 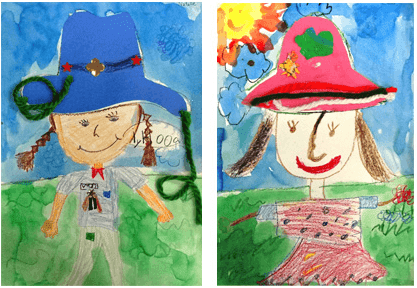 And here's a fun art activity by Deep Space Sparkle. Click on the picture for more details. Thanks, Sandi! Christmas cheer and love to you and your family! omg wow! it's quite interesting to read.